Smart marketing leads to maximizing profit, but devoting as much time as you need to marketing can be very challenging. 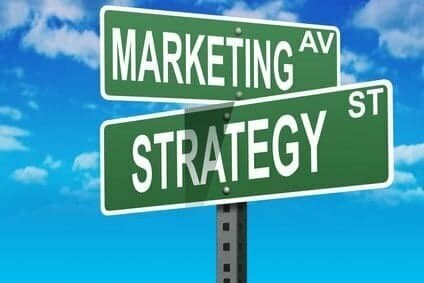 A good marketing strategy means everything, especially in the world of retail selling, and that is why shop owners need to be creative in order to boost their sales. To achieve this, there are various tactics and strategies that are already tested and proven to get customers spend more, and more importantly – to spend more often. A post campaign check-in should be done to measure performance. Use the feedback information to shape your next campaign to be more successful. What was your ROI (return on investment) regarding the last marketing campaign launched by you? It is important to set aims for your campaign, and track them for each of your launched campaigns. Was the campaign successful or not? Did you boost your retail sale, increase website traffic or online post purchase reviews? Always know what you are doing, so to know where your mistake was if the campaign had failed. Everything is worthless without having well-trained salespersons working for you. This is crucial to your business’ success, because when employees are efficient, capable, knowledgeable and know how to handle their customers – the success will be guaranteed, and your customers will leave your retail shop satisfied. Invest in training your employees to become top-notch salespersons. Focus on building new and strengthening the existing relationships between you and your customers. Personal interaction with them is an excellent way to establish and preserve long-term customer loyalty. Try achieving this by sending birthday e-mails, anniversary greetings, Christmas cards, and thank you notes. You do not always have to be selling, and your marketing can be a natural extension of this. Whenever customers come into your retail shop, greet them and engage a conversation. Seek to provide help by asking moderately personalized questions about who they are shopping for and what does that person. In that way, you can help them in finding the perfect gift. Providing genuine tips and advice will make you become a reliable resource for their future purchases. If you are not following up with your customers after they have made their purchases, you should certainly start. A great way to increase your sales is rewarding customers for their loyalty. Small acts of consideration, such as giving a ten percent off coupon, can encourage your new customers to visit again. Present your products as part of a larger collection of items. Customers will spend more to get the whole set of products that is promoted as a great money-saving opportunity. Taking the advantage of various promotional platforms such as a point of sale display, dump bin, and counter display is a quite good merchandising strategy to use in a retail shop. Your customer’s buying behavior is primarily influenced by their eyeline. By doing this, you will ensure that your products are seen without using any extravagant promotional techniques. Everyone knows what it is like to buy something on impulse. Sales are guaranteed if a sense of urgency can be manufactured by your retail merchandising strategy. The impulse purchases section should be situated on the way to the point of sale. These purchases are actually affordable, last-minute additions to the customers’ shopping basket. Find out the people who are your best customers, create a customer profile, and target them in your mailing list. When putting out ads, flyers, banners, or digital marketing material, remember that repetition sells. A customer needs to see an offer more than once in order to get intrigued and feel the desire to make a purchase. Get creative and take advantage of all marketing opportunities available, test them to see which one works the best for you, and be consistent to those most effective marketing strategies.